Optional: Spice it up by adding 1 to 2 tablespoons chipotles in adobo OR (not both!) a jalapeño pepper (seeds and membrane removed then finely chopped) when the venison is browning. Note: I often add up to ¼ cup of salsa to the venison while the meat is browning. This gives it a little extra texture and a little extra flavor. If using hard taco shells, heat oven to temperature as directed on package for taco shells. In medium skillet, add oil and brown ground venison and onion over medium heat for 8 to 10 minutes or until venison is thoroughly cooked, stirring frequently. Stir in tomato sauce, taco seasoning and lemon juice. Reduce heat to low; cover and simmer 10 minutes. Prepare taco shells as instructed on package. 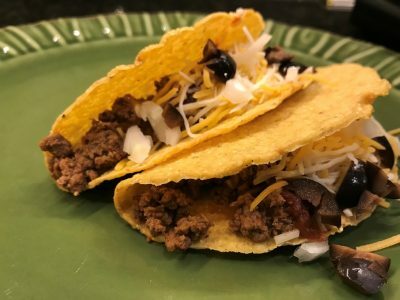 Assemble tacos by layering venison mixture, cheese, lettuce and tomatoes in each taco shell. Serve with salsa; top with onions, olives and sour cream. 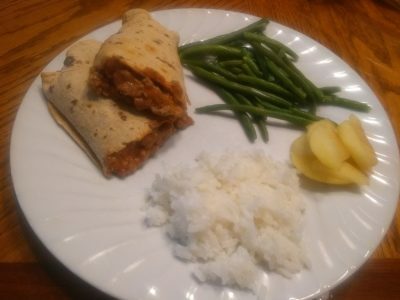 Taco meat can be used for traditional tacos, as a burrito filling, or a salad topper. In a skillet, brown onions in olive oil. Add venison and Montreal steak seasoning, cooking over medium heat until heated throughout. Stir in marinara sauce, mozzarella cheese, Parmesan cheese and garlic powder. Spoon 1/6 of filling onto each tortilla. Place in casserole dish that has been coated with cooking spray. Bake at 375° for 18-20 minutes or until heated through. 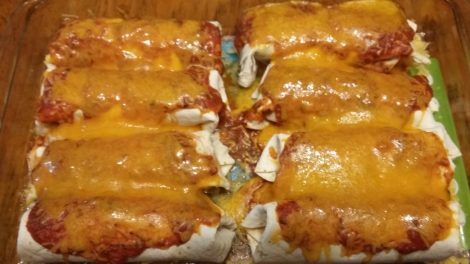 This recipe was inspired by Italian Burritos, click here for that recipe. Sauté onions in some canola oil until browned, then remove from pan. Brown the venison brats in the canola oil. Add 2 cups beef broth to pan with venison brats and top with browned onions. Simmer for approximately 15 minutes until thoroughly cooked. Optional step: Using kitchen shears, remove the casings before serving. Serve in buns with toppings as desired. Cook onion in butter until it starts to caramelize (about 20 minutes). Add in ground venison, beef base and Worcestershire sauce and cook until heated throughout. 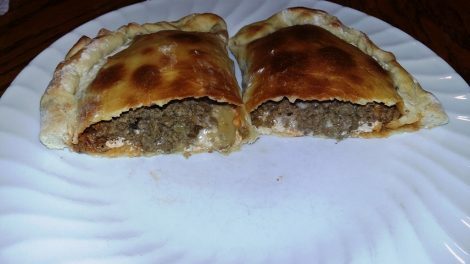 Place bun bottoms in lightly greased 13′ x 9′ pan and top with meat mixture. Top meat mixture with shredded Swiss cheese. 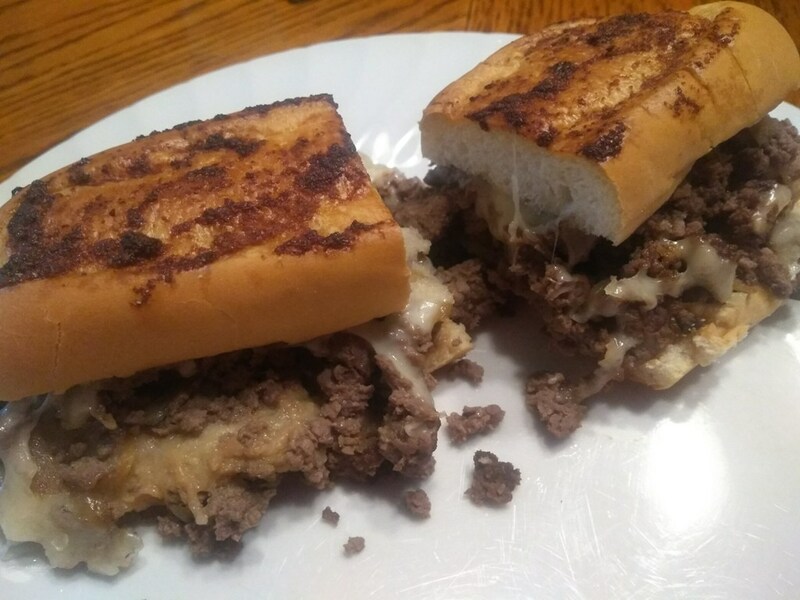 Melt together: 4 T. butter, 1/2 tablespoon beef base, 1 teaspoon onion powder and 1 teaspoon garlic powder. Brush/spoon the butter mixture over the top buns. Bake in 350 degree oven until the cheese is fully melted and the tops of the rolls are lightly browned, about 20 minutes. Mix together the paprika, meat tenderizer, garlic powder, onion powder, and ground mustard. Sprinkle mixture over venison pieces and put in the refrigerator for 9 hours. 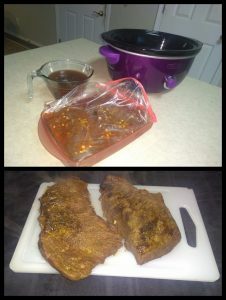 Put the venison in a greased casserole dish and cover with the sweet and sour sauce. 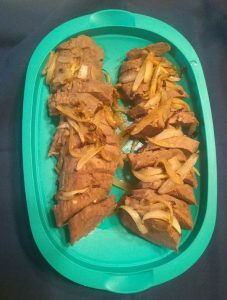 Put sliced onion on top of the venison. 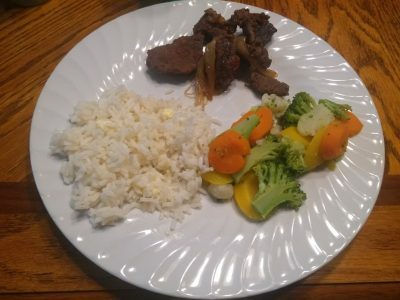 Cut the venison roast into strips and then cube into bite size pieces (approx. 1 inch or less in size). Add onion, celery, bell pepper and sauté for three minutes over medium heat, stirring occasionally. Add the venison on top of the vegetables (do not stir) then cover for three minutes. This will allow the indirect heat and steam to start the process of cooking the venison. Cooking the venison too fast over direct heat will cause it to become tough. Uncover, add the sliced smoked sausage and stir to sauté for an additional three minutes. Stir in the tomato sauce, diced tomatoes, Creole seasoning, and Worcestershire sauce. Heat thoroughly then serve immediately or remove from heat and cover until ready to eat. Over-cooking will cause the venison to become tough. Serve over cooked rice or add the cooked rice directly to the skillet for easier serving. 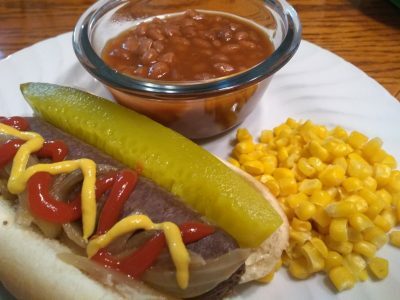 *I did not have any smoked sausage when I made this recipe. It was delicious even without it. If you’re looking for a quick meal and this is the only ingredient you don’t have go ahead and make it. 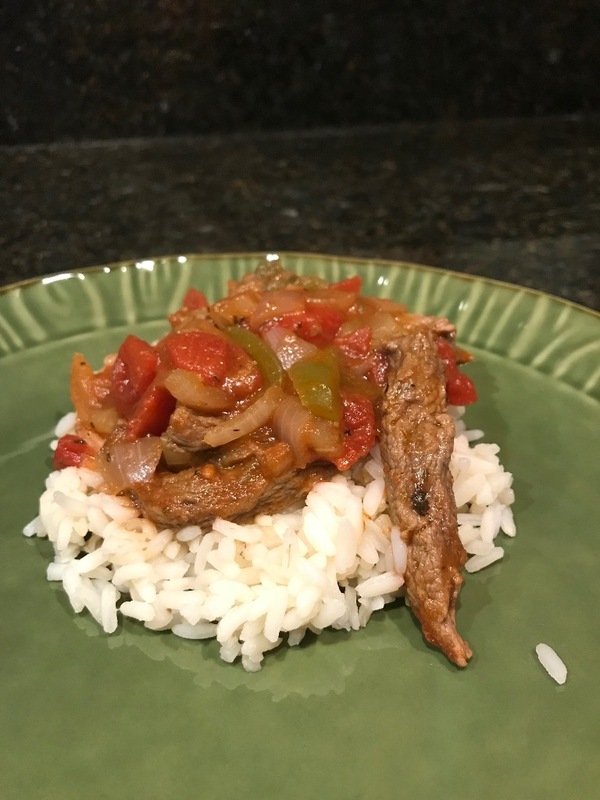 This venison dish is good with the smoked sausage and without! Mix ingredients together and store in a small airtight container. Use in recipes calling for Creole seasoning.